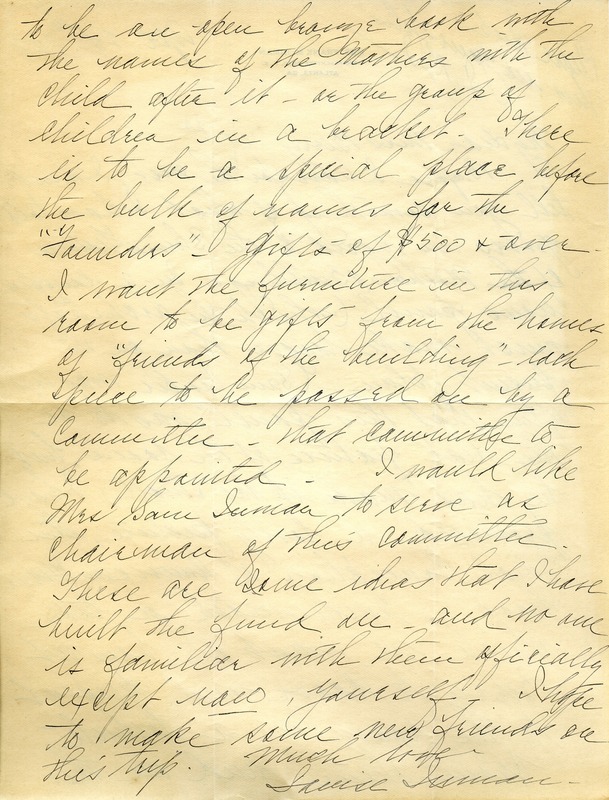 Letter describes how the building should be presented to the donors/mothers who gave and donated the furniture, the placement of pieces, the placement of a picture purchased by Mrs. Inman (Ideal Conception of American Motherhood) and instruction for a table to be under the picture to be made and presented by Berry students. 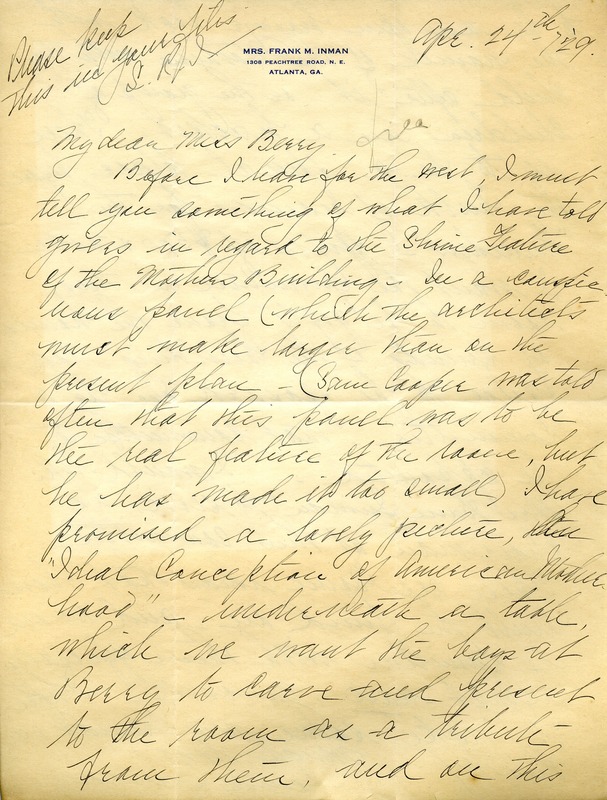 Louise Inman, “Letter to Martha Berry from Louise Reese Inman.” Martha Berry Digital Archive. Eds. Schlitz, Stephanie A., Sherre Harrington, Chelsea Risley, Alan Henderson, et al. Mount Berry: Berry College, 2012. accessed April 23, 2019, https://mbda.berry.edu/items/show/10372.